One of the main Mac user complaints has to be the inability to access and modify NTFS permissions. 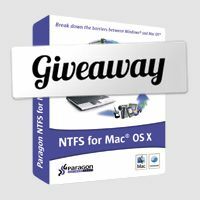 Installing Paragon NTFS for Mac OS X 8.0 changes that in the simplest of ways. Install the driver on your computer, and you can instantly modify and add files to any NTFS partition. This is particularly useful for Bootcamp users who might want to modify their Windows files without rebooting their machines. This week, we will be giving away 50 licenses of this much-needed application worth close to $1000! Paragon NTFS is as easy-to-use as they come as it works straight out of the box, without the need for any configuration from you. Make sure it was installed correctly by looking up your drive’s file information, and check that your “˜Sharing & Permissions’ shows that you have read and write permissions. If you want to further configure how you can manipulate your NTFS partitions, go into System Preferences and open up the Paragon NTFS settings were you will find all of your partitions listed. In addition to enabling read/write access to the NTFS file system, Paragon allows you to also check and repair your partitions. 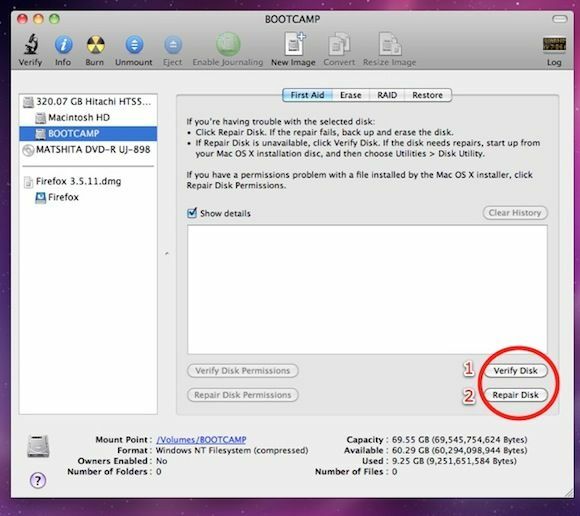 This can be done by launching the Mac Disk Utility, and under the First Aid tab, click on Verify Disk, followed by the Repair Disk to fix any errors that are found. For users comfortable with using the Terminal, you can get a lot more out of the application, including formatting your NTFS partitions, although 10.5 Leopard users have the benefit of doing this using the app’s GUI through the Mac’s Disk Utility. The driver is compatible with Mac OS X 10.4 Tiger, 10.5 Leopard and 10.6 Snow Leopard. Individuals who reside in a country embargoed by the United States; Belgium, Norway, Sweden, or India are not permitted to enter. This giveaway begins now and ends Friday, October 9th at 2100hrs PST. The winners will be selected at random and announced via email. MakeUseOf would like to thank Paragon Software for their generosity while participating in this giveaway. Interesting in sponsoring? We’d love to hear from you. Get in touch with us via email. [UPDATE] Here are 50 lucky winners who have each received a free license for this ridiculously useful application. Congratulations! An email has been sent to your inbox. Your license will be issued by Paragon, please allow several working days for processing. Ipad Pro 2018, Nouveau Macbook Air, Mac Mini : Avis Keynote !